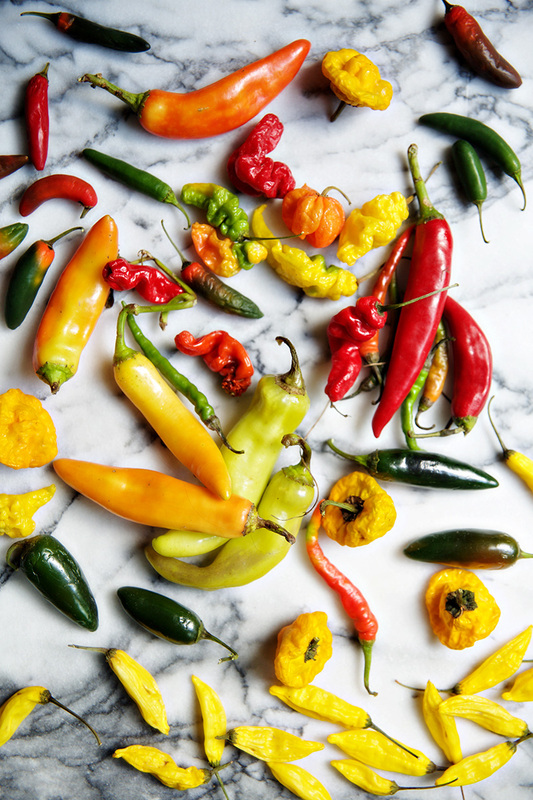 Over the summer I was gifted a bounty of hot peppers from my brother Reid and my friends at Greenlands Farm. We chopped a few up fresh for meals, but the vast majority of them went into pantry to ferment into our own homemade hot sauce. 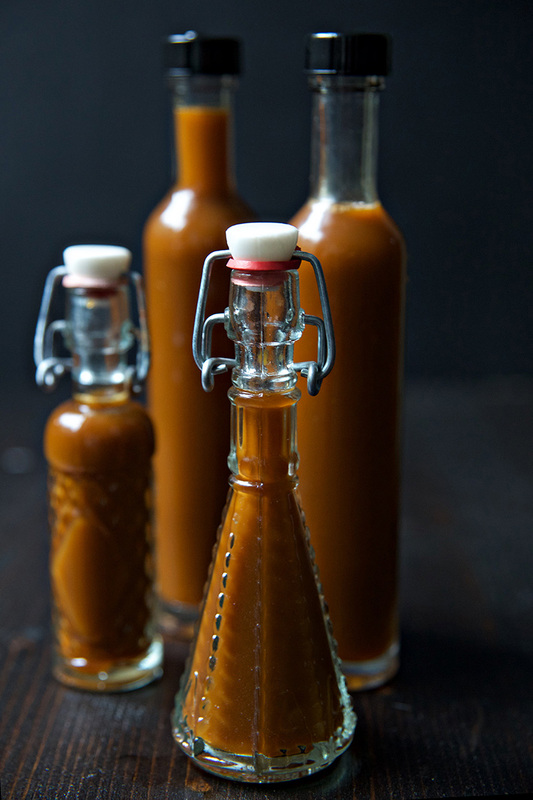 Since I visited Tabasco a few years ago I’ve been itching to make my own hot sauce, to try my hand at making our favorite condiment. 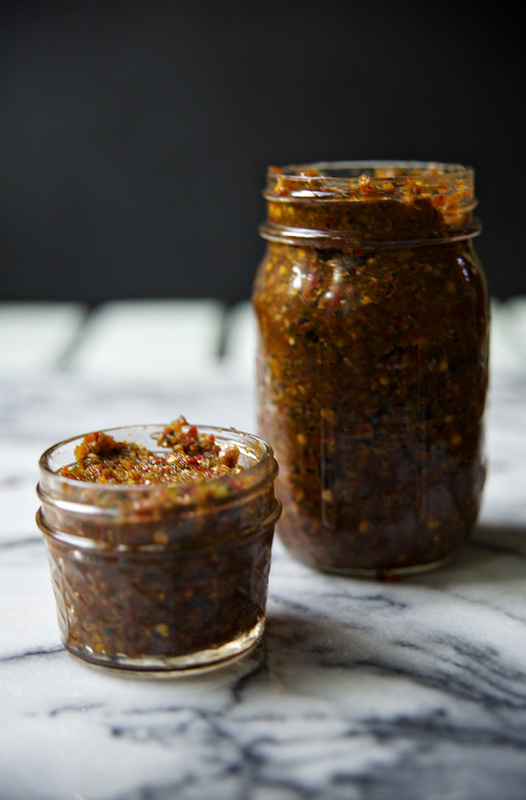 I did a bit of research and came up with a method that seemed practical- mix ground up peppers and salt together and allow to ferment in the pantry for 2 weeks or more. Then, push through a sieve and enjoy! Done and done. First, I weighed my peppers, then I blended them up with a few cloves of garlic and mixed in the salt. My research showed that the amount of salt you use should equal 2% of the weight of the peppers. So since my peppers weighed in at 544g, I added 10.88g of sea salt. Easy enough equation. Then I packed to jars (a large pint jar and a quarter pint jar) full of my peppers and loosely covered. 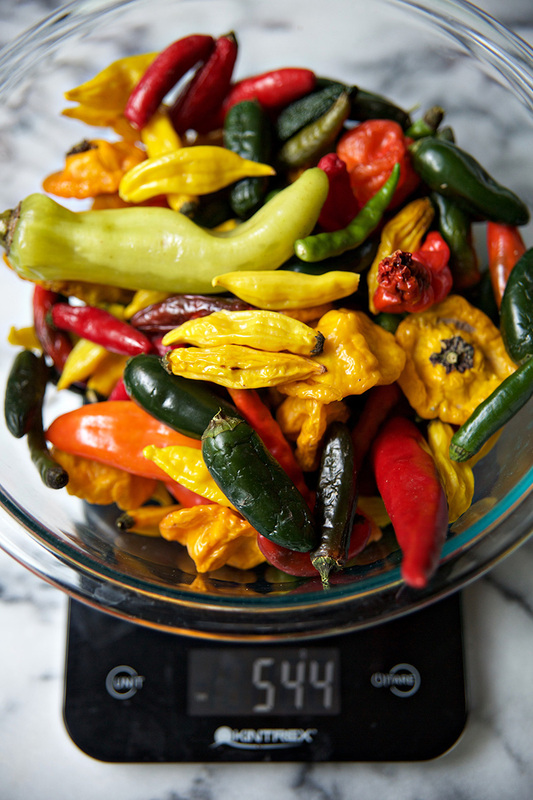 This is important, the peppers need air so that lactofermentation can happen. So they were covered, but not tightly sealed. I was initially going to give them 6 weeks to ferment, but then I forgot about them and life got busy and it ended up being about 15 weeks. Just call it well aged! Yesterday, after scraping off a little bit of (harmless) white mold that had developed on the top, I pushed the peppers through a fine mesh sieve, which resulted in a whole cup of hot sauce. Some recipes have you add vinegar, but since I liked the viscosity of the sauce as it was, I decided not to. All said and done the work that went in to making the sauce was nominal, and I was very pleasantly surprised by how much finished sauce we ended up with! 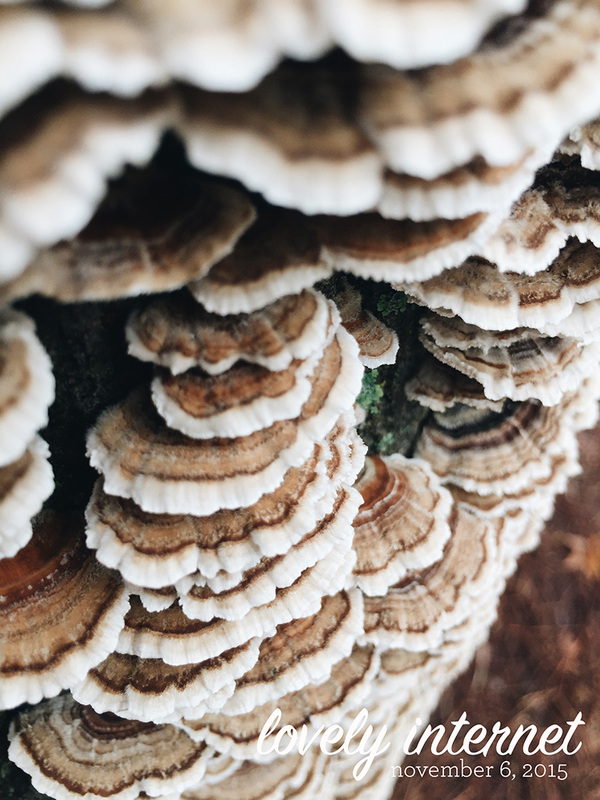 I can’t wait to have it on the table this Thanksgiving, and I’m thinking this will become a staple on the list of things I ferment, pickle, jam, and put up each fall. Remove the stems from your peppers. 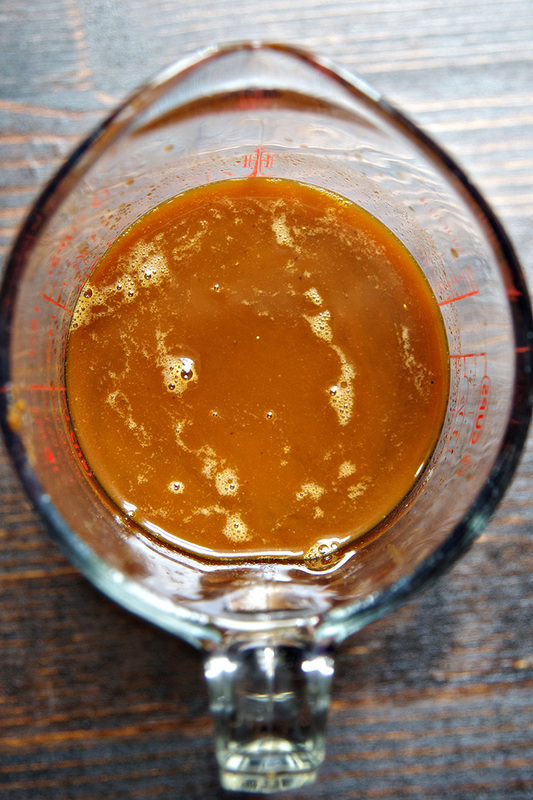 Blend in a food processor along with garlic, until a mash is created. Mix in salt and pack into clean fermentation jars. Cover, but do not seal tightly. 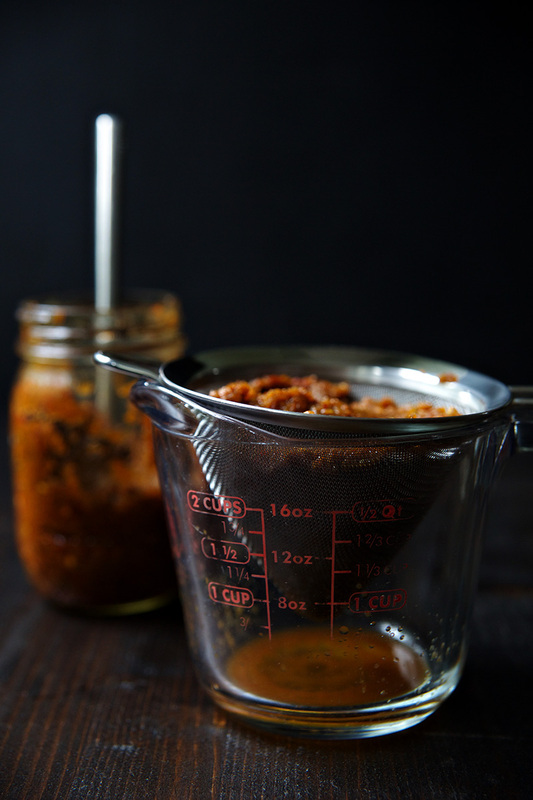 Allow to ferment in a cool, dark place for at least 2 weeks, or up to a few months. After the peppers have fermented to your liking remove the lids and scrape off and dispose of any white mold that may be present. Push the pepper mash through a fine mesh sieve and extract all the liquid possible. 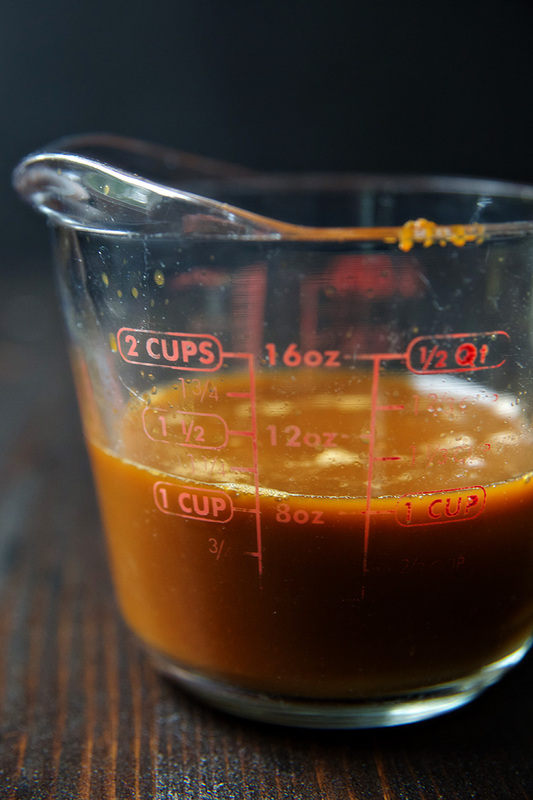 If your sauce is thicker than you’d like, you may add apple cider vinegar until you achieve the viscosity you desire. Transfer into bottles and seal. Enjoy! 1. One of my favorite holiday traditions, along with traditions from a number of Southern food writers, over on The Daily South! 2. Well, bacon is apparently carcinogenic. Bummer. 3. If I had a dollar for everytime someone asked me to work for free I could pay myself a decent salary. 4. Oh man, I am trying to eat SO MANY OYSTERS this winter. If only I had a beautiful handmade wood fired oyster roaster. 5. What you need to know about the federal inmate release. 6. A convincing argument for putting whole grains back on your plate. 7. Why it’s difficult to talk about race to white people, but also why it’s important. 9. Sometimes other people’s embarrassing moments make you feel just a little better about this human community. 10. It’s been interesting following the evolution of the public opinion and story of Hilary Clinton’s personal email use. For instance, what is “Plumpy Nut”? After a long separation I’m happy to say that Brussels sprouts, the delectable little brassicas, are officially back in my kitchen. And belly. It’s a happy time. I’m usually a fan of tossing them, halved, with a little balsamic and roasting them. Or coating them with bacon jam. Or red curry. But this time around I wanted something a little different, so I sliced them thinly, added a red onion and some shaved parmesan, and tossed them in olive oil and lemon juice. Simple, fresh, and completely satisfying. 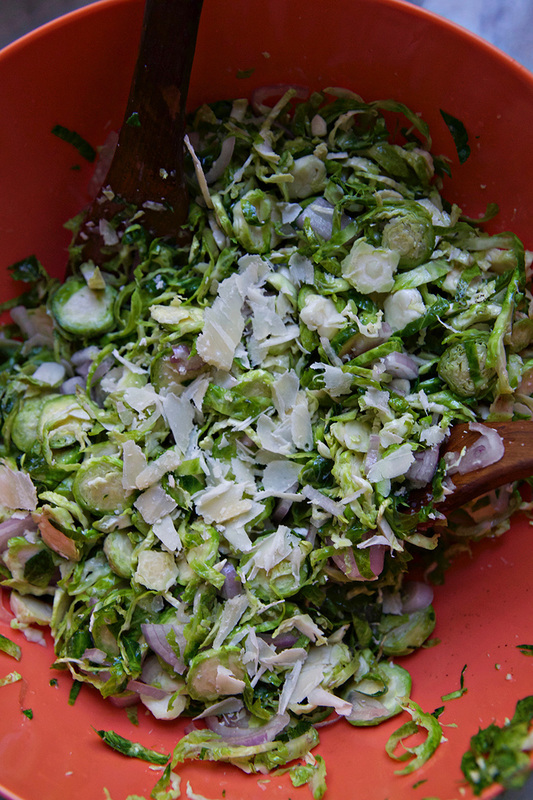 Brussels sprouts, I’m glad you’re back. 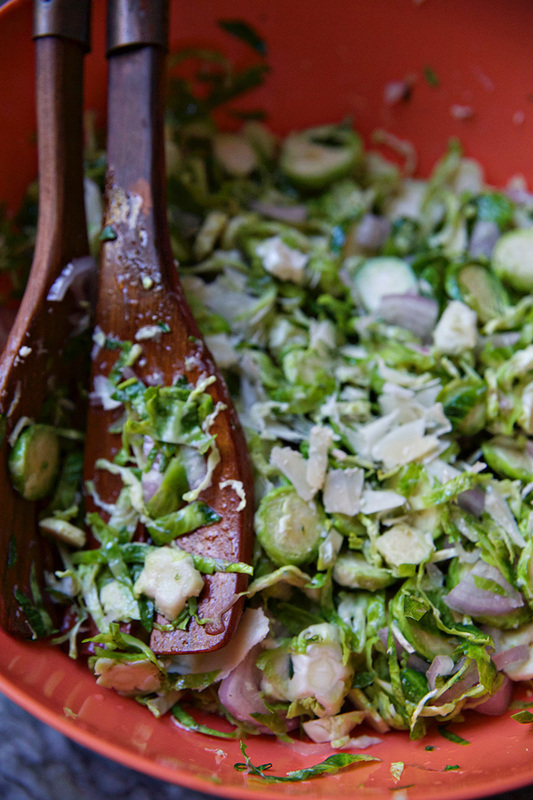 Remove tops of sprouts and thinly slice. 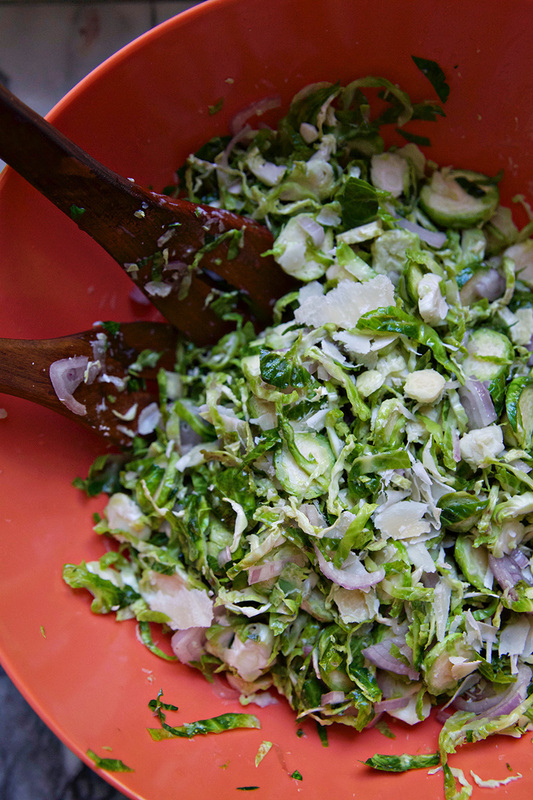 Mix in a bowl with thinly sliced red onion, shaved parmesan cheese, olive oil, lemon juice, and salt. Cover and refrigerate for 2 hours before serving.